Alaska Village Electric Cooperative (AVEC) constructed a wind power project in the village of Emmonak in 2010 that is comprised of six Northwind 100 B model turbines for 600 kW of installed wind turbine capacity, an electrical intertie to the nearby village of Alakanuk, and a control system to integrate the turbines to the existing power system. 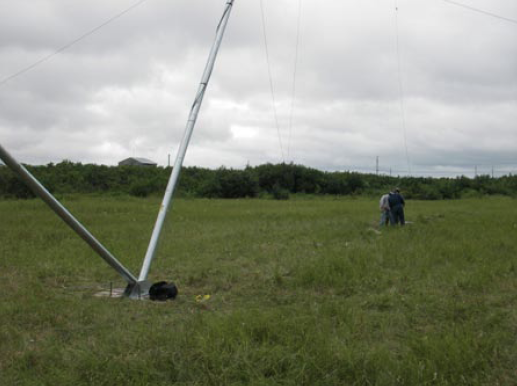 In anticipation of this project, a met tower was installed in Emmonak in July, 2007 to collect wind data. In addition to wind data, AVEC collected other information such as electric load and diesel power plant performance data for Emmonak and Alakanuk. This data was analyzed with software tools to evaluate the wind resource itself and to predict the performance of wind turbines and their operation as a wind-diesel hybrid system once connected to the village’s existing power system. The Emmonak met tower site was located on the tundra in a clearing of willow trees just west of the village boundary. This site was selected based on the intended location for wind power development and consequently turbines were installed nearby.